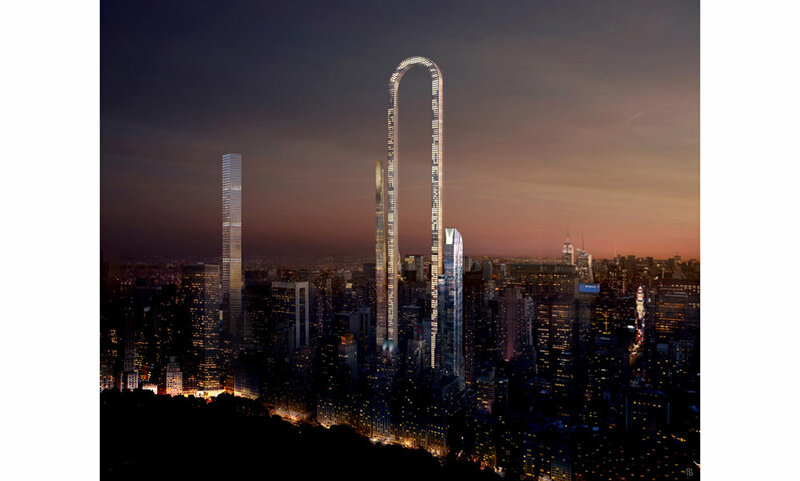 Local NYC architecture studio OIIO came up with a concept for a skyscraper that would basically create the longest building in the entire world, The Big Bend. It would cover around 4,000 feet (that is 1.22 km) from one side to the next. How is this done? The building would focus on bend and local available space close to Central Park instead of height. 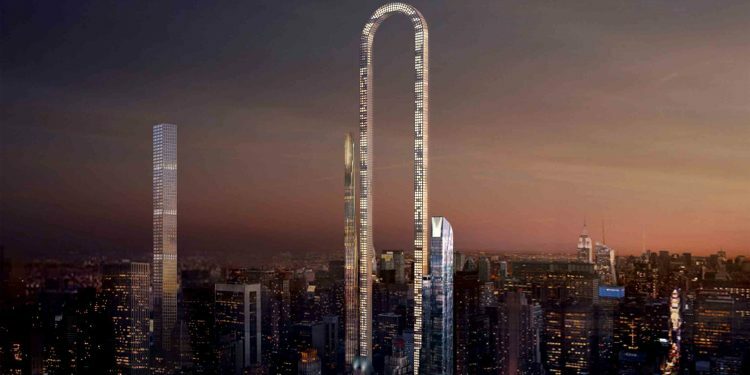 There is no denying the fact that technology is now not at the point at which we can go way too high up with skyscrapers. However, if we bend one and we basically create two, this changes. Big Bend would feature a pretty thin structure, as you can see from the proposed street view below. 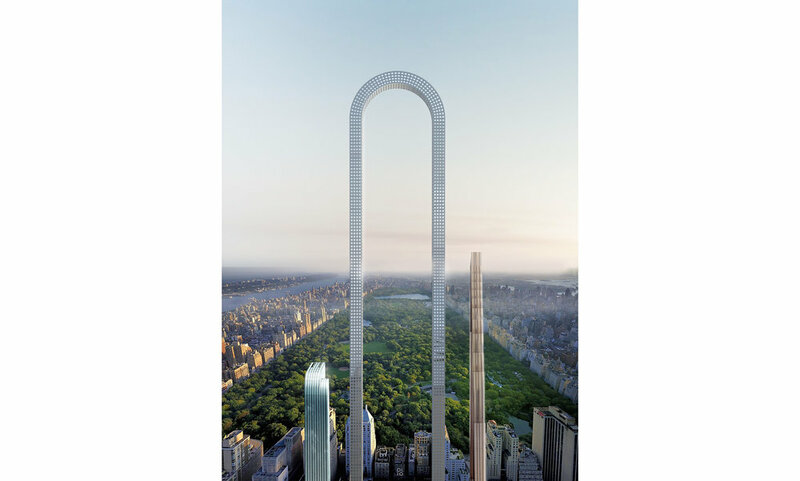 This may not be the tallest building in the world but it can definitely be seen as the longest one. 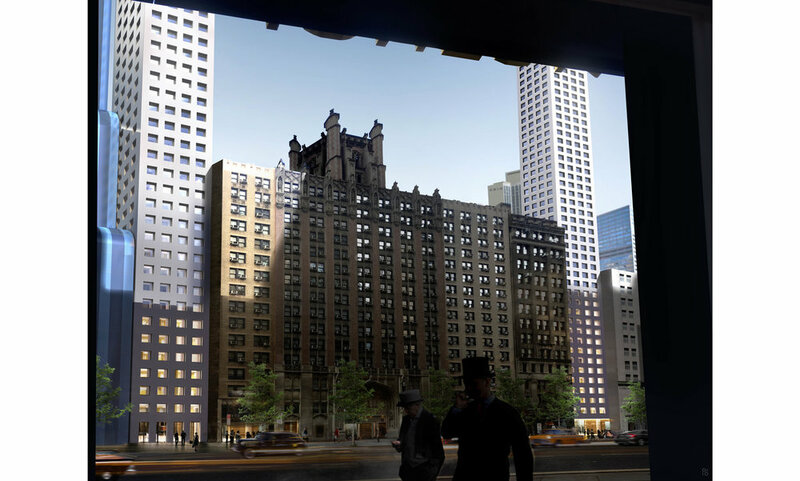 At the moment there is quite a competition in New York City between the luxury condo developers. 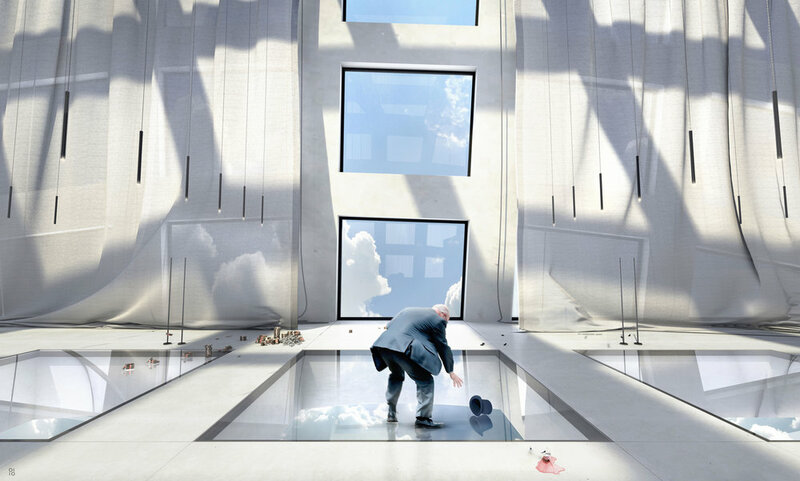 There are many real estate companies that take advantage of the planning law and buying air rights from buildings. 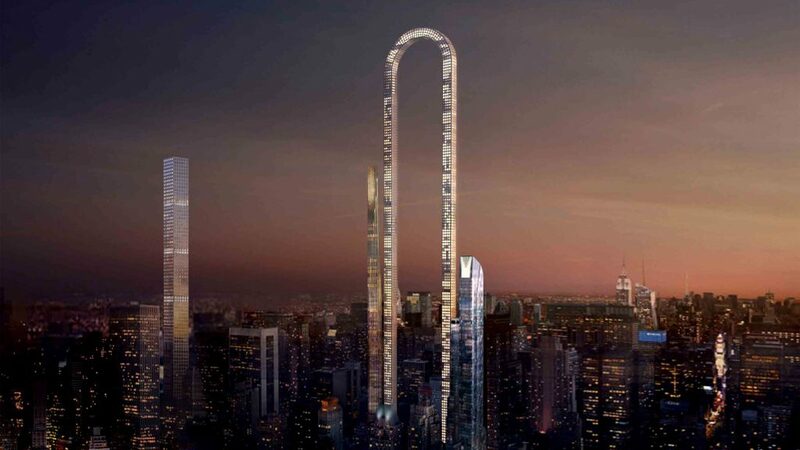 This creates the possibility to develop taller towers through a relatively small plot. Still, building a really tall skyscraper requires a larger plot, creating quite a problem. Obviously, there is a huge debate going on around this project. Some like it and many hate it. No matter the case, the concept should be admired. New York City is flooded by luxurious projects and law bending. At least we see a really nice concept come out of all this.